The Walled Garden Holiday Cottage is a charming self-contained cottage that sits in a private, quiet garden in the heart of Rutland just 300 metres from the banks of Rutland Water. It's perfect for a weekend getaway, ideal for rest and relaxation or enjoying exciting outdoor pursuits. 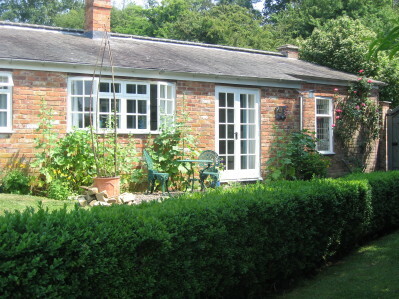 The cottage has been tastefully furnished to offer a comfortable, peaceful and private stay. It has a large double room with king-size bed, ensuite bathroom, well-equipped kitchen with a selection of teas and coffee, dining area and sofa. There's also a flat-screen tv that you can watch from the sofa or from the comfort of your bed. 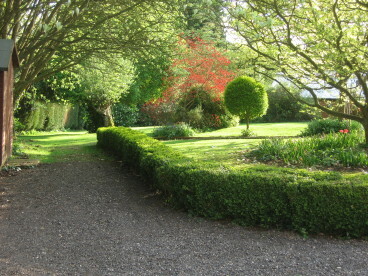 The Walled Garden Holiday Cottage will be open for the 2019 season from April and we are now taking bookings. If you have an enquiry, please email or call 01572 720388 and we'll get back to you as soon as possible. Thank you. The price for a stay is £75 (Sunday to Thursday) - £80 (Friday & Saturday) per night for two people self-catering. From July 15th to the end of August it's £80 per night. Two-night minimum stay. Also available for 2019, a one-week stay at Barnsdale Country Club. Date to be confirmed. Click HERE for details, or click HERE to contact us by email.